Scotland's hottest chef takes us into his home kitchen to show just how accessible, inexpensive and uncomplicated gourmet food can be. 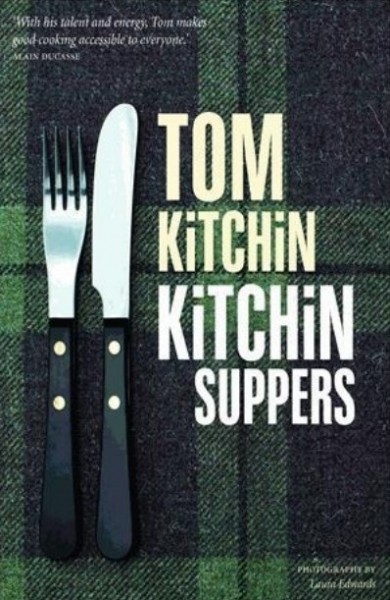 Tom draws on his experienceof home cooking to provide a superb collection of recipes for time-pressured cooks that makes the most of fresh, seasonal food. From one-pan wonders and meals that can be put together in half-an-hour, to intensely flavoured braises that can be assembled in next to no time and left alone to cook, there are brilliant ideas for easy midweek meals. These are recipes that have been created specifically for the home kitchen, not dishes adapted and compromised from a chef's restaurant. Shoppingfor them is easy, techniques are straightforward and they are fun to cook. Tom also offers readers his 'Kitchin Secrets' covering a host of topics, including sourcing the best ingredients, preparing ahead, getting the timing right, and balancing the flavoursin a dish. This beautifully illustrated, contemporary cookbook will appeal to a very wide audience.